This massive control room is sleek yet comfortable, featuring award-winning design and state of the art technology that is unmatched in the region. Along with their talented staff, the facility always brings out the most creative qualities in their guests in its private and focused space. 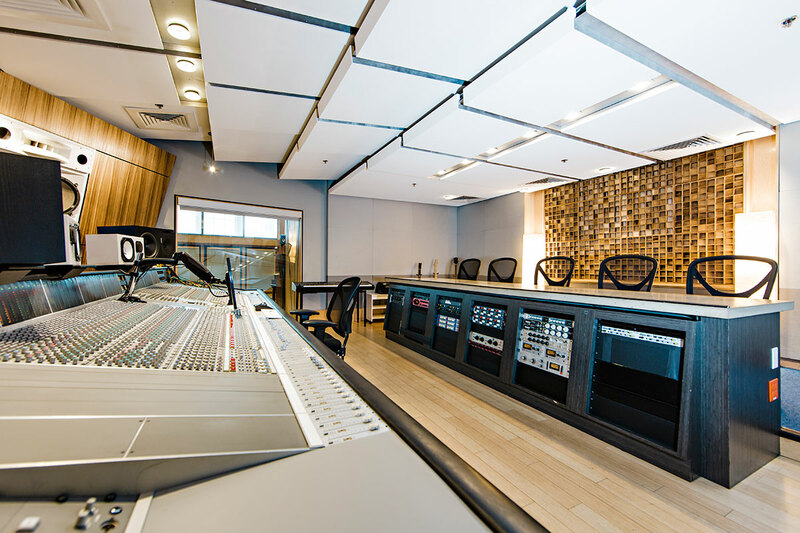 It can accommodate artists ranging from soloists to large recording groups and bands, plus it can host listening parties and other engagements with ease.